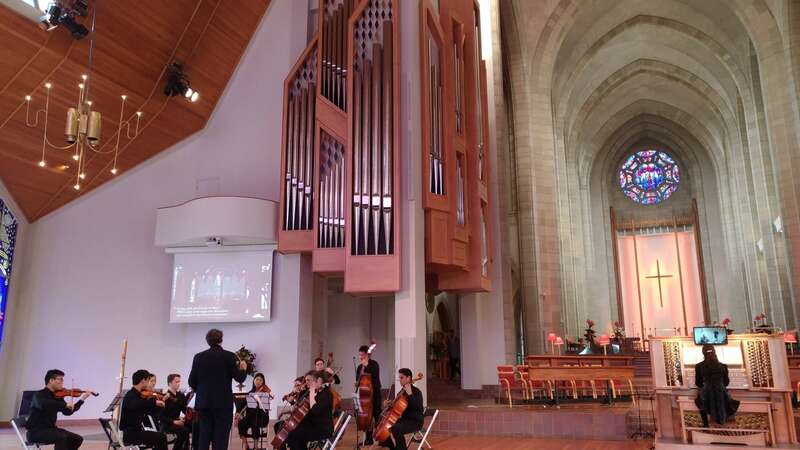 The Chamber Orchestra performed on Sunday 17 September as invited guests to the Holy Trinity Cathedral Organ Gala Concert. It was a very special occasion and the first time that the group has been invited for these kind of ticketed events! The orchestra performed Albinoni Adagio, which featured our concert master Zosia Herlihy-O'Brien. Zosia is also the organ scholar of the cathedral, and was featured soloist for many of the items at this concert.